The new public charge rule released under the Trump administration, if implemented, would represent the largest expansion of the definition in its 136-year history and would lead to drastic negative consequences for both companies and the wider native population. The public charge condition of inadmissibility is a powerful tool that has long been used by administrations to restrict or expand legal immigration. It can be traced back to the first major federal Immigration Act of 1882, which sought to exclude immigrants who were, “unable to take care of himself or herself without becoming a public charge”. Since then, the definition of public charge has changed multiple times. Its current application narrowly defines a public charge as an alien who is, “primarily dependent on the government for subsistence, as demonstrated by either (i) the receipt of public cash assistance for income maintenance or (ii) institutionalization for long-term care at government expense.”. Due to the expansive nature of the new proposed definition, this would be the most wide-reaching change to legal-immigration policy the Trump administration has made to date. These “negative factors” could be overcome if the applicant can show that they have a household income of 400% of the federal poverty guideline (FPG). This would amount to $41,150 for a single household and $65,840 for a household of two people. According to the 2017 Census survey, the median household income for foreign-born full-time workers is $57,273, so it is reasonable to assume that many temporary visa holders in the U.S. would not be able to reach this income threshold. This new gauntlet, created for legal immigrants, would immediately put tremendous strain on companies that depend on skilled-immigrant labor. The outcome of H1-B visa extensions or H1-B to Greencard status transfer applications would be less predictable due to the increased discretion given to U.S. 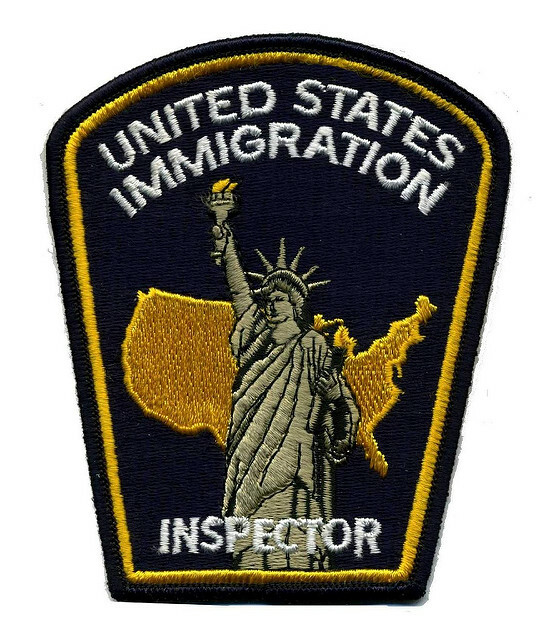 Citizenship and Immigration Services and DHS immigration officers. Additionally, it will be more difficult for companies to recruit promising foreign students from American universities, for this rule also applies to the transfer of student to H1-B application visas. Lastly, the new FPG requirement essentially ensures that companies must pay a certain amount to make their potential employee’s application viable. These direct effects would not only reduce the labor supply but would also introduce more uncertainty into the hiring process and establish an informal minimum wage that is likely higher than some market-established equilibrium wages. Companies would also be affected by the costs associated with an expanding bureaucratic program. According to the proposal, many applicants would be required to submit a new I-944 form, also called the “Declaration of Self Sufficiency”, and all the additional evidence that is required for the expanded DHS screening process. However, the DHS has not pledged more manpower to sift through this greatly augmented list of application materials. Therefore, it is logical to conclude that applications for extensions and status transfers would take longer than they already do, further constricting the labor supply for companies. This rule would also come into effect at a time when there is already a scarcity of labor in the U.S. job market, which would further exacerbate its negative impact on the job market. Recent business growth has spurred demands for labor beyond what domestic sources can currently supply. According to the Bureau of Labor Statistics’ September news release, there are 6.9 million job openings and 6.4 million unemployed job seekers. A typical response to meet domestic labor demands often includes recruiting foreign labor with specific matching skill sets. However, the proposed rule would make this process more difficult and therefore limits the ability of the job market to naturally achieve this equilibrium. Moreover, studies have shown that the detrimental effects of restricting the immigrant labor supply do not end with companies but instead trickles down to the native population. A recent study by the National Bureau of Economic Research (NBER) has shown that decreasing the flow of either temporary or permanent employment-based immigration results in a net-negative effect on native wages and employment. Specifically, NBER models predict that if you cut permanent employment-based immigration by 50%, the native unemployment rate would increase by 1.80%, wages would drop by 0.95%, and net income would decrease by 1.27%. The negative effects from reducing temporary employment-based immigration are even more pronounced. At a 50% reduction the native unemployment rate increases by 1.98%, wages drop by 1.04%, and net income would decrease by 1.56%. These findings indicate that the proposed rule change would disperse the negative economic consequences across large swaths of the native population. If implemented, the DHS proposal on the public charge rule will have widespread negative consequences for a business that employs immigrants. In a bull market, with businesses experiencing rapid growth, this shock will undermine the labor supply. Additionally, the downstream impact will be felt by a large portion of the population. In the end, the DHS may achieve its goal of reducing government benefits among immigrants. However, any gains will be diluted by the resulting economic impact of this rule.